I love memoirs. And I've been getting interested in book trailers. They strike me as a great way to get people interested in your book. I've also been wondering why poets don't seem to make use of book trailers. After all, poetry is the oral art, right? 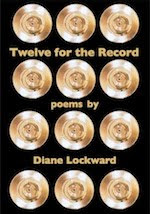 With a new poetry book coming out soon, I've been considering the possibility of making a trailer. I've found lots of poetry videos, but none that specifically features a book. There are, however, lots of prose book trailers, so I've been using those for ideas. 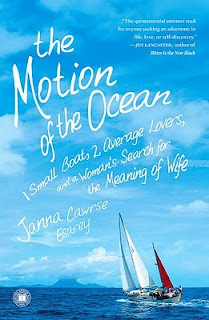 Here's one by Janna Cawrse Esarey for her memoir, The Motion of the Ocean. Take a look. Now for me the real test of the effectiveness of a trailer is whether or not it makes me want to read the book. This trailer did. In fact, I ordered the book the same day I watched the trailer. I've just finished the book and really enjoyed it. It's about a young couple's decision to begin their marriage by chucking their jobs, buying a sailboat, and taking a long ocean trip. There's lots of romance, times with no romance, some nautical mishaps, new friendships, parties, visits to islands, boat upkeep, writing. This memoir took me into a totally new world, something I value in a memoir. I have never gone sailing, never visited islands, never fished, never spent an extended period of time with any one person let alone my husband. I doubt I will ever do any of those things, but I loved the vicarious experience of joining Janna and Graeme on their long honeymoon journey. After watching the video, I emailed some questions to the author to find out how she made her trailer. Then I learned that she'd also created a second trailer, this one geared towards book clubs. Take a look. Here's some of the information Esarey provided about making a book trailer. 1. A friend at Pacific Lutheran University provided the students for the book discussion. Although the discussion was filmed, the raw footage didn't work out. For one thing, a good deal of cutting was necessary. Esarey advises keeping the trailer under 3 minutes. (I've read elsewhere that the average viewer won't hang in much longer than 1 minute.) Another problem was matching footage with audio. 2. So instead of raw footage, Esarey decided to use audio and photos/illustrations. 3. Esarey drew the illustrations by downloading a free drawing software for kids (called Tux Paint). She bought a drawing pen/pad that hooks to her Mac (Bamboo brand about $75). Then she did screen shots (shift + command + 4 on Mac) and was able to save those images and insert them into her video. 4. Her video ended up being a combination of iMovie, iPhoto, and Keynote. 5. 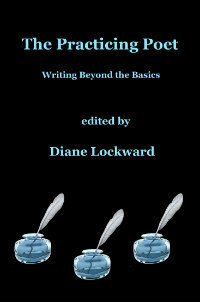 She strongly recommended The Book Trailer Blog for more information about book trailers. 6. Here is some of what Esarey suggests you can do with a trailer: post it on your own website, YouTube, Facebook, and other social networking sites that you belong to. (Red Room and She Writes come to mind.) You can also use it at Amazon. If you want your trailer posted on your book's page, your publisher must submit it. But you can post it on your Amazon author page yourself. 7. Esarey also sent her videos around to bloggers. She said, "I think it's a great way to give people the gist of your work in an appealing, quick format." Now I'm wondering if any of you poets have made book trailers? Let me know what your experiences have been. You can post in the Comments section or use my email link on my profile page. i suspect you could make a trailer of sorts on animoto...which offers free accounts. i've only used animoto to make a short practice video to decide if i'd use it with my high school students. just google animoto and you'll get there. I'm thinking about making a trailer for my new book. If I were to do it, I would use animoto. We use it quite a bit at our college for event-driven marketing. Thanks Nancy and January. I just checked out Animoto. Looks like a free video is limited to 30 seconds. If you want a longer one, you pay $30 per year. Very reasonable. But why not use the program on your computer? I'm on an iMac and have iMovie. That allows me to upload photos and clips, add a music track, have transition effects, etc. Does Animoto do the work for you? Book Trailer or Poem Video? Who Needs a Love Poem?